Home Children's Ministry 20 Years of Thankfulness! As we approach the end of the year, I can’t help thinking how grateful I am for the people that I get serve on Kidology.org, each and everyone of them impacting eternity by ministering to children! Its been wonderful to be able to serve others in this way, now for over 20 years! 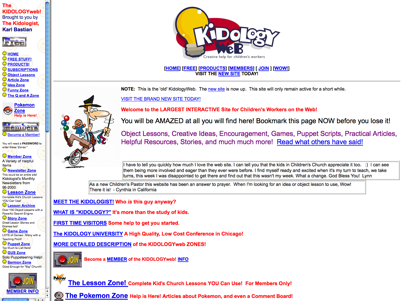 For those of you who may be new to Kidology, let me share a bit of our history. 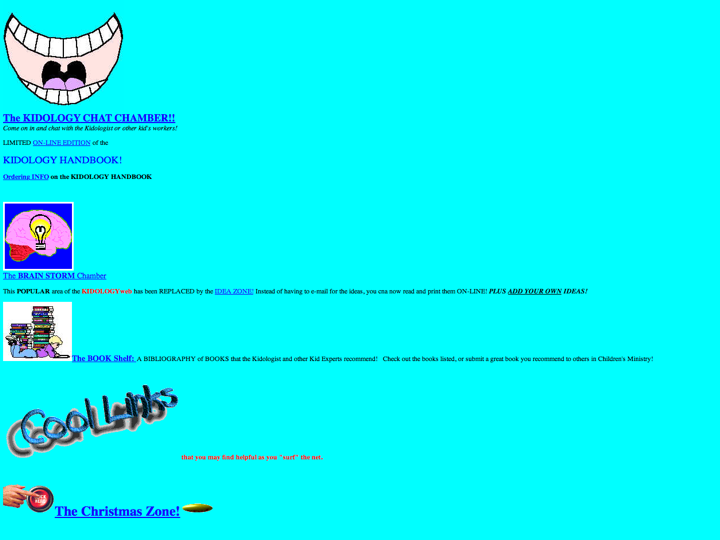 If you were a member then, prove it by putting in the comments the “Secret” entrance you clicked on to enter the Member Area before I had usernames and passwords… it was kinda funny! Then, due to a huge answer to prayer and grant I was able to hire a real web developer, Ken Kinard, who built me my first real website, with a database driven backstage and got us set up with credit card processing and memberships with usernames and passwords. 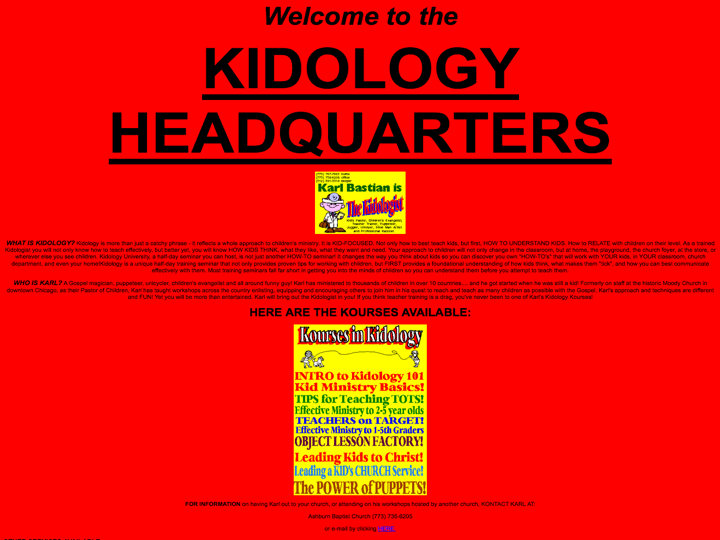 Kidology.org finally had a website platform we could really build on. 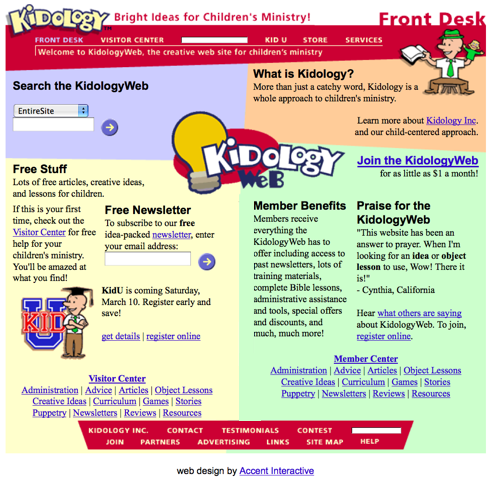 Our rapid growth soon meant transitioning to a more robust platform and even another complete redesign and before we knew it it was time for yet another complete redesign and platform change… as we went from hundreds to thousands of members and became the leading destination for children’s ministry content on the Internet. We incorporated as a non-profit ministry in 2000 and by 2006 I had gone full time. That paints a much smoother picture in one sentence that the story is – but anyone who has lived life or founded a ministry knows, no road is smooth, but God is faithful when we continually seek him through the ups and downs on the journey. One thing has remained the same… OUR CUSTOMERS! They come by the hundreds, indeed by the thousands, every day… looking for ideas, for resources, for encouragement, for training, for jobs, for connections, for friendship, for a wide variety of things… things that can’t all be found anywhere else all in one place… and even when they can be found somewhere else, they know they can find it there, but starting here! Because like Miracle on 34th Street… we will direct you to where you need to go. It is humbling and amazing and such a blessing that this is what I get to do each day. I have the privilege of getting to serve you! MY LIFE MISSION hasn’t changed since I was nineteen when God gave it to me: To reach and teach as many children as possible with the Good News of God’s Love, and in the process to Enlist, Equip and Encourage others to do the same. THANK YOU for allowing me to use my God-given talents to bless you and serve you. I get to do what I love, and that is because of the support of my customers. LOVE WHAT YOU DO WHAT YOU LOVE. My customers make that possible. I am thankful for them as the year comes to a close. 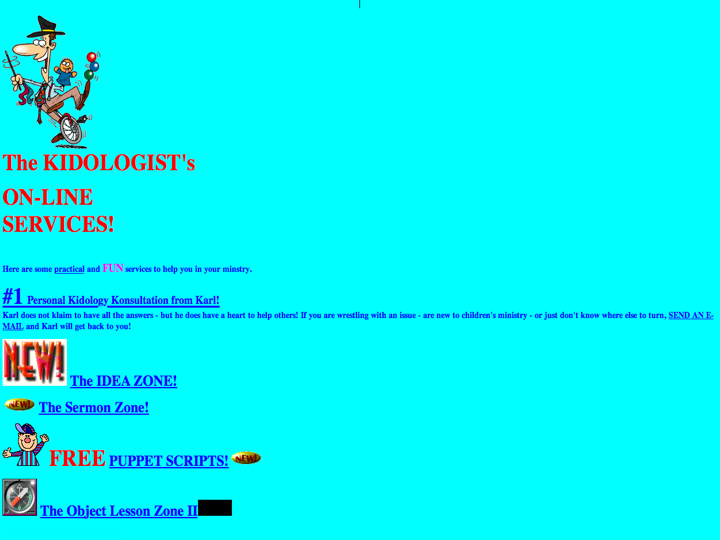 Don’t remember the secret place to get into the website, but do still have my original Kidology Handbook. Thanks Karl for your continued ministry!